Once again The Queen's Ink in Savage Mill, Maryland provided the perfect gathering space for like-minded souls to meet and express their artistic abilities. Negative self-talk flew out the window and positive energy filled the room as we began to create a new language for ourselves that poured out onto soft fabric journals in the form of affirmations. Each journal was a unique expression of words, phrases and objects that resonated with each participant. The nostalgic act of sewing bits of personal ephemera felt grounding as we planted new seeds of thought that nourish the soul. This class truly touched everyone's heart and is for anyone looking for positive growth both artistically and spiritually. 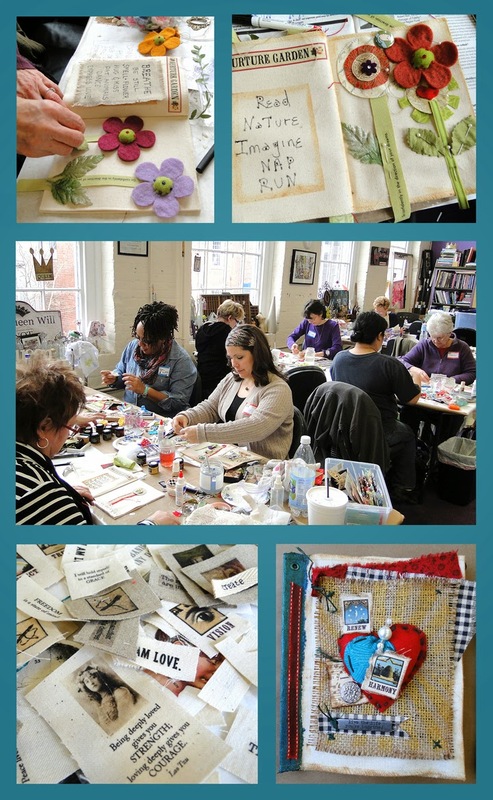 Please join us on May 17th at Artistic Artifacts in Alexandria, Virginia for our next workshop. By the way, no sewing experience necessary! Envision walking into an environment that encourages you to create without inhibition, nurture your spirit and sometimes discover your own hidden talents! Life long friends, Sharon Fierstein, Dee Gray and Deb Rolig have come together to share their passion for art by offering workshops that help you to tap into your own creative expression while learning skills and techniques that are the foundation for your future projects. 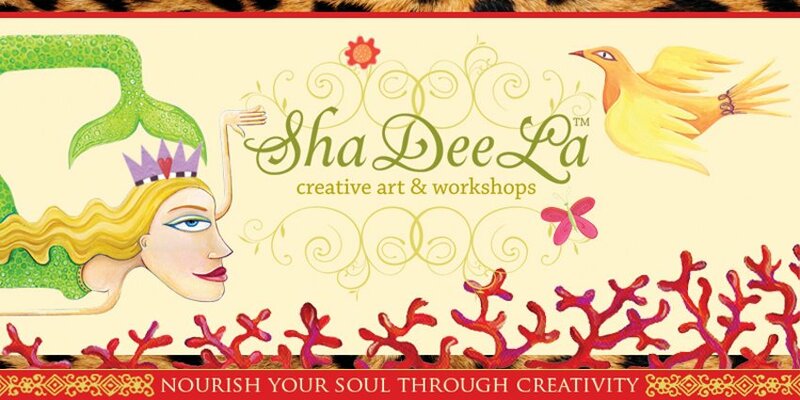 Explore new mediums and enjoy the process of building a finished piece of art, all under the skilled guidance of ShaDeeLa’s instructors. Whether you are formally trained, self taught or just have the desire to create, our workshops provide a comfortable “atmosphere” for sharing, exchanging new ideas and enjoying the camaraderie of fellow participants.